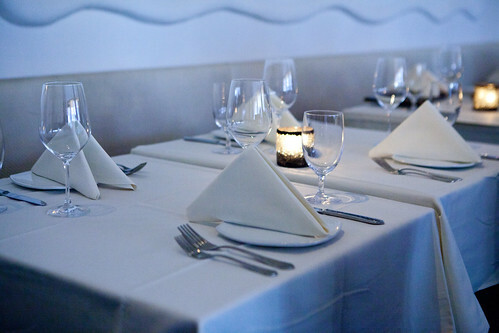 Pampano is a contemporary Mexican restaurant found in Midtown East. 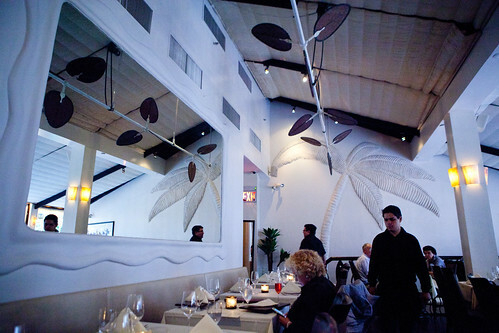 The decor and the menu vaguely reminds me of my recent press trip to Los Cabos, Mexico – and the food primarily focused on seafood. Entering this restaurant on a humid, drizzling evening, we’re greeted by two friendly hostesses and a civil happy hour crowd several yards away at the bar, whose conversations weren’t too convivial. We’re eventually escorted upstairs to the dining room, where the beige walls with white palm trees carved onto them felt vaguely tropical and the large mirror made it felt spacious. 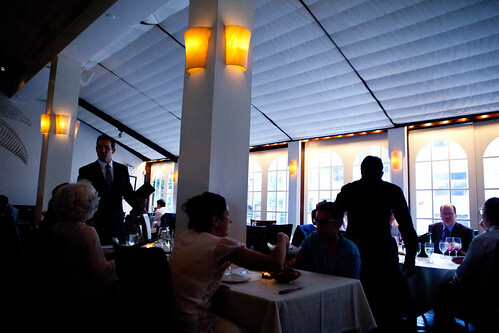 Most of the dining room crowd were local businessmen and women, while the remainder were groups of friends and a few couples on a date. Navigating the large dinner menu, and thankfully, a relatively concise cocktail menu, we started with cocktails of a delicious and refreshing Mojito Martini ($14), a smoky and minutely fruity Mango Mezcal Paloma ($14), and a strong somewhat floral, frozen hibiscus Margarita Pampano ($13). The snacks to accompany these drinks were the smoky, almost bacon-like flavored swordfish dip (Pez Espada Ahumado; $15), a very fresh and creamy guacamole ($14) both served with crisp tortilla chips and a large tray of four ceviche tastings ($34) that includes a gingery big eye tuna, sweet halibut, creamy yet spicy shrimp, and mahi mahi that was spicy yet highlighted the fish. The pulpo a la parilla ($15) was arguably the best dish of the night. Tender, sweet octopus glazed in sweet black olive caramel and sweet, bell pepper-like cactus, and pear tomatoes to add some texture – it works together brilliantly. 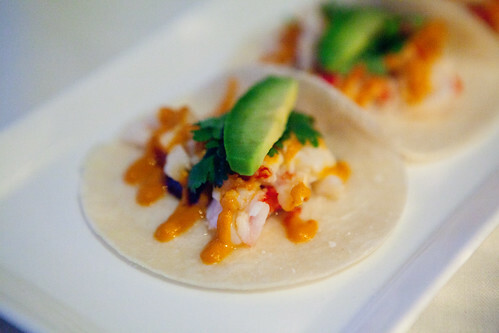 The lobster tacos (3 tacos, $18) were modestly spicy and on flour tortillas (personally, I prefer corn) and it tasted like it’s lacking an element to bridge the delicately sweet lobster, black bean puree, chile de arbol salsa, and avocado. It tasted disparate even though the ingredients and sauces were good on its own. 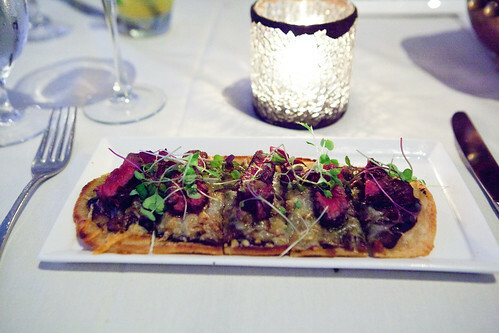 The hurache de res ($18) arrived on a flat, crisp masa flatbread, topped with black bean puree, seared, tender filet mignon, sweet onions with melted, nutty manchego cheese was quite delicious and rich. 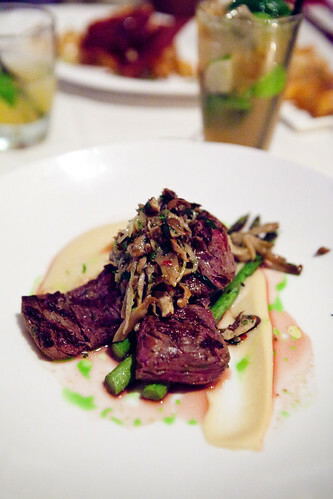 As for our main courses, the Churassco ($32) was grilled beef tenderloin, on a spread of white bean puree, grilled asparagus, and topped with wild mushroom escabeche was very tasty. The acidic punch from the wild mushroom escabeche made this dish one of the most memorable. 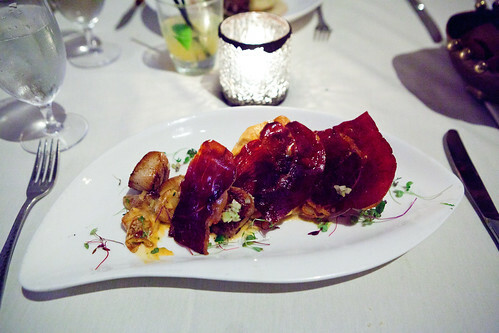 The Callos de Hacha ($32) are pan seared scallops with papas bravas, large rectangular crisps of sweet-salty serrano ham that’s glazed in orange-oregano mojo. 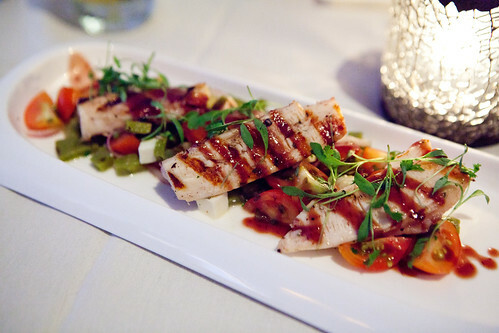 The dish is very striking when it graced on our table. Initially, the scallops and ham were delicious but my friends and I did concur that it’s a bit on the salty side even though it’s quite delectable. 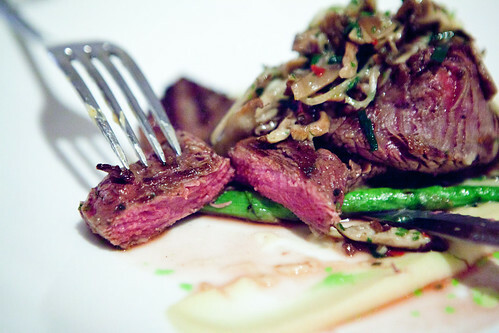 The Roblado Placido ($30) was the dish that you wish the kitchen would pare down on the saucing. 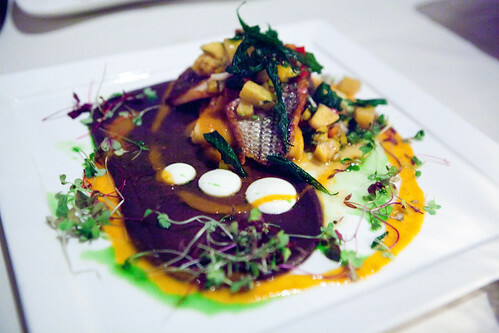 The black sea bass looked like it’s seared wonderfully but the roasted tomato-chile chipotle sauce and the black bean puree drowned the delicate sea bass flavor and made its skin soggy. The flavors of each item were good but it would help to have a crunchy item. 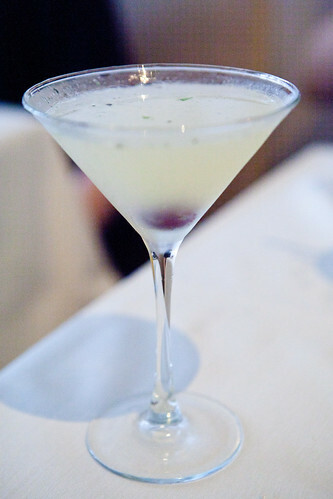 I also ordered a fruity and not too sweet Mojito de Piña ($14). 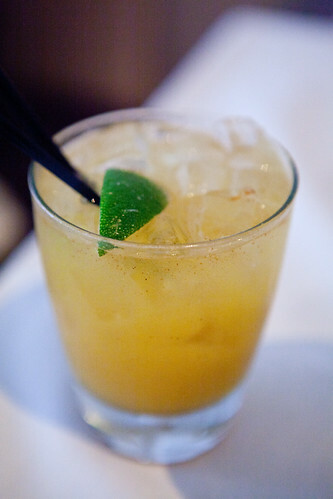 The grilled pineapple added a gentle, smoky flavor to this lovely cocktail. 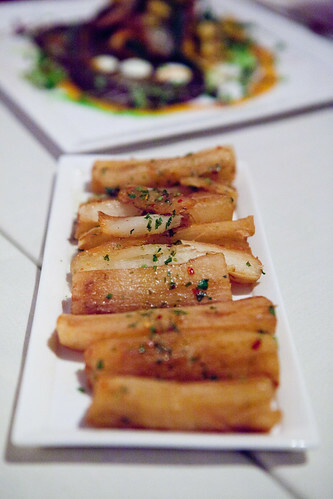 The side of yucca fries ($6) were sort of crisp but it needed a dipping sauce. 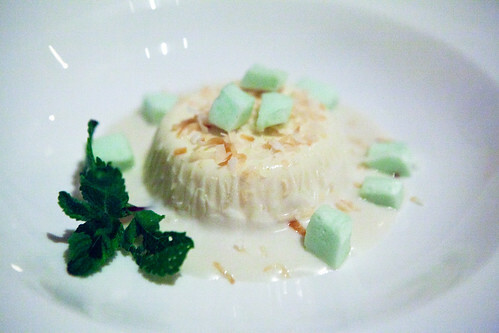 The coconut and pineapple panna cotta ($9) plated with coconut rum foam, yuzu marshmallows, toasted coconut was the panna cotta that I was hoping for. 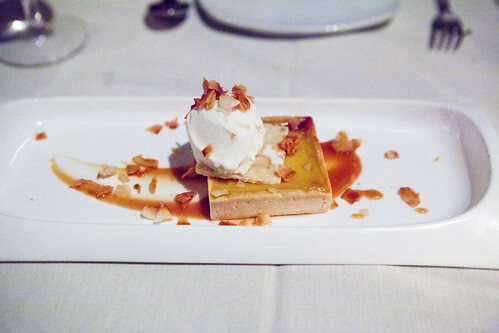 The supple cooked cream was gently coconut-ty and had the subtle sweetness of the pineapple. The yuzu marshmallows were a bit of an odd component since everything in this dessert is soft but it offer a subtle citrus flavor. The strawberry passion fruit tart ($9) plated with citrus marscapone, apricot caramel, and topped with a coconut cookie was good in theory but the tart had too much crust in proportion to the filling. We capped off our meal with coffee beverages. My archaic looking and tasting cappuccino ($6) at least provided the strong espresso kick I was looking for. 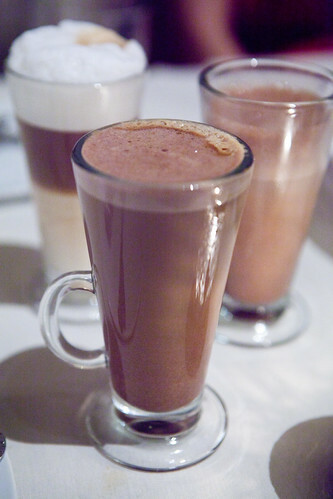 My friends’ café con chocolate ($9) was essentially a cappuccino spiked with hot chocolate and Godiva liqueur, and Chocolate Abuelita ($5) made of Mexican chocolate, steamed milk, cinnamon were fine for what they were. Overall, the dinner was fine, especially with the lack of good contemporary Mexican food in Midtown and there’s a possibility that I ate here on an off day. 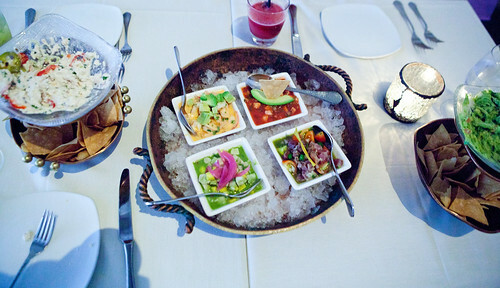 If you were here for dinner, I highly suggest the trusty standbys of guacamole and smoked swordfish dips with tortila chips; the deliciously, complex ceviches (all of them); Hurache de Res, the Pulpo a la Parilla (grilled octopus), the seared scallops and the grilled beef tenderloin. 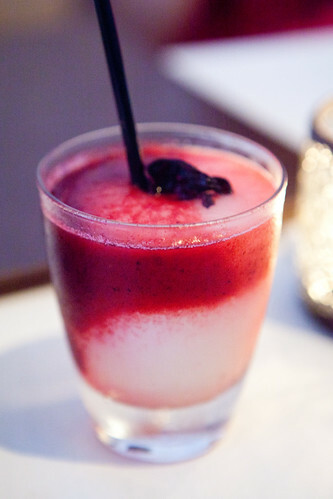 The cocktails were delicious and creative that any would make you happy.